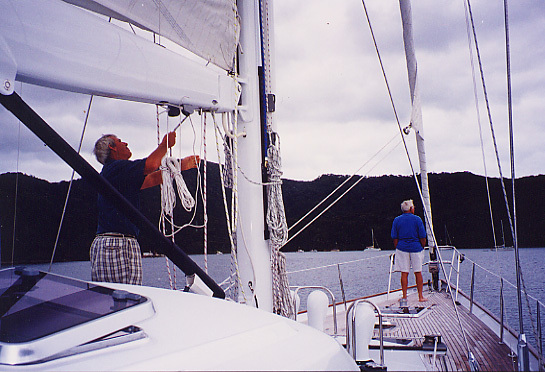 In 1995, Ron Holland a famous and very well respected sailing yacht designer, had the opportunity to design a cruising yacht for his personal use. 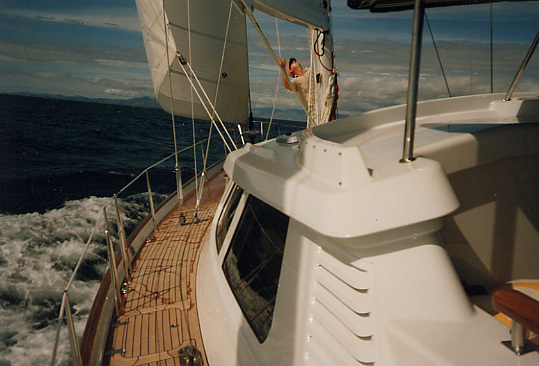 Ron Holland has been designing racing and cruising yachts for clients for over 20 years. Opus was Mr Holland's chance to design his own yacht. The design brief was unique - take that experience and use it to create his own wish list. 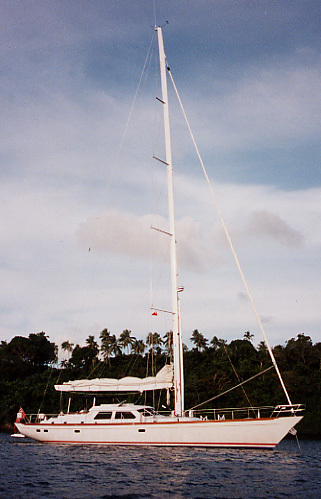 Sailing yacht 'Opus' is a fast cruising design which Ron Holland has created in response to that brief. He believes that the overall concept where beauty and performance have not accepted any compromise will also be found attractive by other yachtsmen and women who want to cruise in comfort and performance without the compromising requirement for a permanent crew. 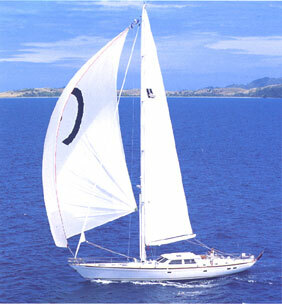 GOLDEN OPUS is a graceful performance cruising yacht. She offers clean, uncluttered lines, with a warm, tasteful interior and a relaxed atmosphere. 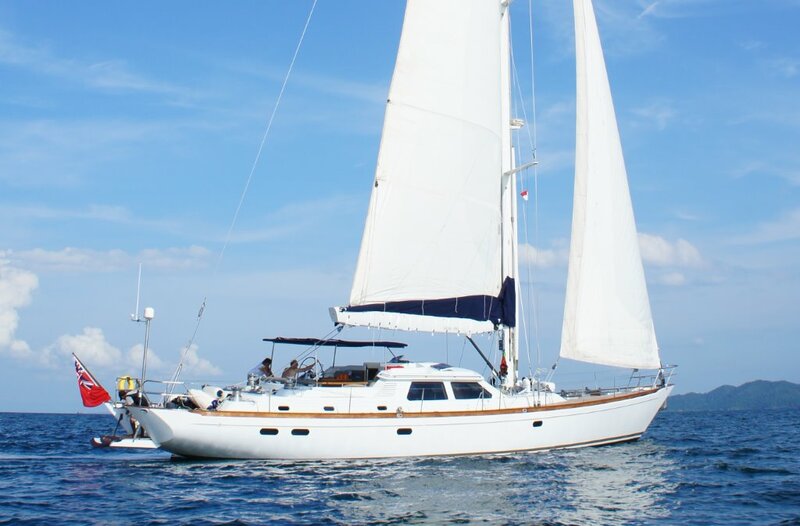 She is ideal for a family charter and also appropriate for those who enjoy powerful sailing. 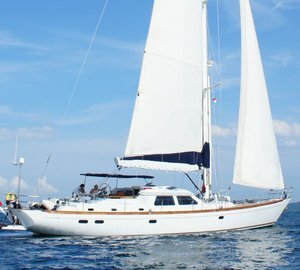 The yacht's ambitious cruising schedule over recent years is testimony to her sea-worthiness and performance. 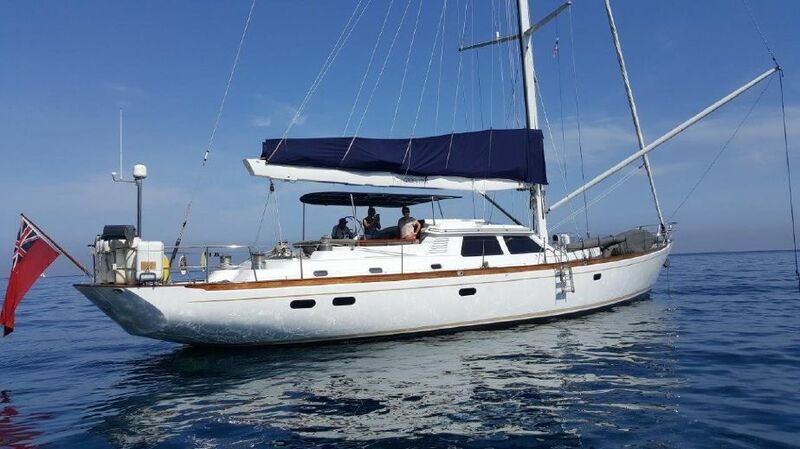 A yacht of this length automatically gives ocean passage performance of an exceptional level. After all this is the size the original maxi racing yachts were limited to by the racing rules and they needed a minimum of 10 people to efficiently operate them around a race course. The level of pleasure gained from a small crew being able to safely control a yacht of this speed and power by way of automated sail handling systems is a wonderful experience. This was, for Ron Holland, the greatest motivation to create this new project. The length overall of "Golden Opus" was influenced by the operation of the 74 ft. "Happy Joss" and the 73 ft. "Crystal". 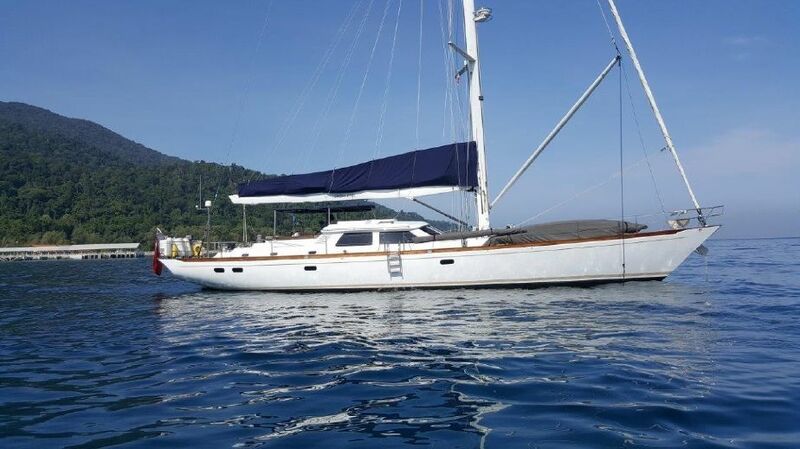 These two Ron Holland designs have competent shore based professionals looking after maintenance requirements and delivery of the yachts when required by the owners. When necessary they are also available to accompany the owners on passages, but more often than not the owners are comfortable taking their yachts for weekend cruising or even offshore with guests and family sharing crewing responsibilities. Ron Holland believes a length of 73 ft. allows the interior spaces and associated 'big yacht ambiance' to be achieved without compromising the simple operation of the yacht - the requirement central to this project's objectives. Life aboard this yacht centres around the pilot house. 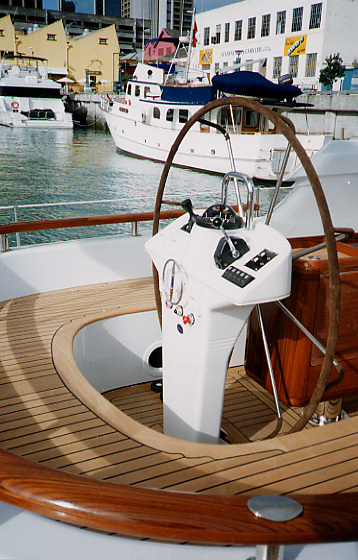 In fact this feature should be more correctly termed 'raised deck saloon' even though one has the capability of operating the yacht under power from the starboard side of this area via autopilot and engine controls located at a generous sized chart table. 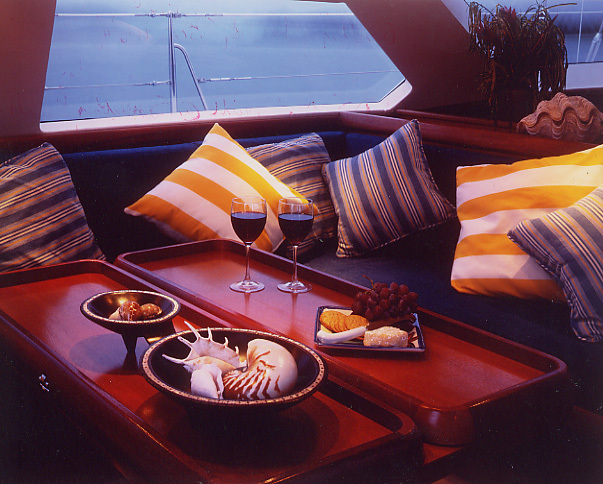 Most of Ron Holland's designs over 90 ft. feature the pilot house / raised dinette layout in addition to the saloon and dining area on a lower level. 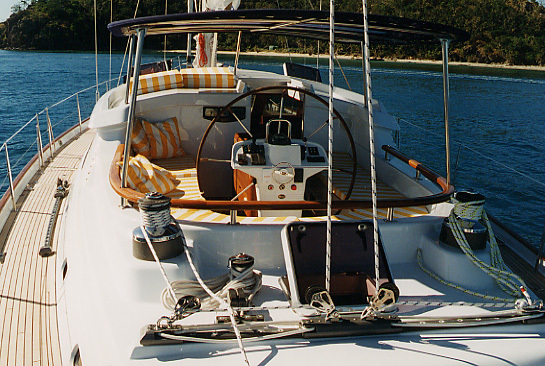 This raised deck saloon approach features protection from sun and wind without compromising a visual involvement with activities in the cockpit enhanced by an opening window in the aft bulkhead. Opus has accomodation for six guests in two double rooms and one twin cabin. Ron Holland has collaborated with Andrew Winch on several successful projects, and this experience has influenced the interior arrangement and detailing of the joinery work beautifully executed by New Zealand craftsmen. The goal was to create a spacious feeling that relates to interior design aspects of yachts larger than this general size of vessel. This has been influenced by generous dimensioning of passage ways, door and washroom areas. A particularly important feature is the open plan, offering visual contact from the deck saloon, both forward into the galley and aft into the office / library area. 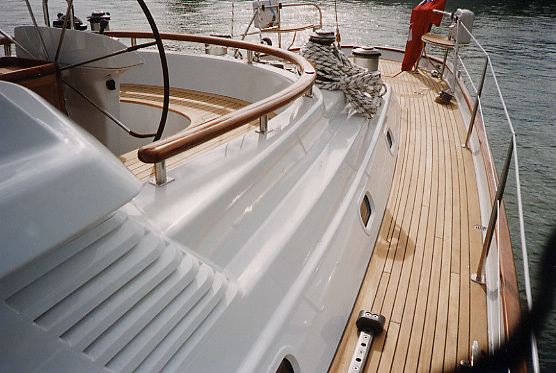 When one enters this yacht there is a real feeling of spaciousness. The owner's cabin is located across the full width of the yacht's aft sections with generous stowage and washroom spaces. 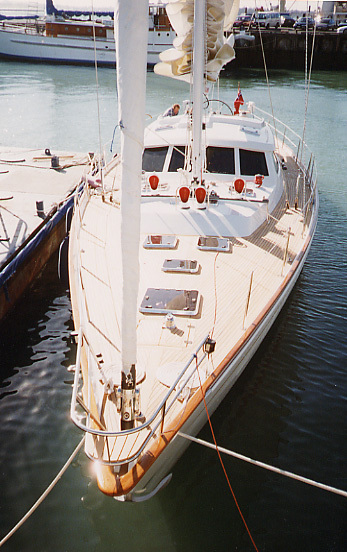 Ron Holland's preference for "Golden Opus" was to keep this a very private space, which is in contrast to a variation on this design that has direct access from the owner's cabin into a cockpit incorporated into the aft deck area. This variation highlights the possible customisation we intend to offer with this design. 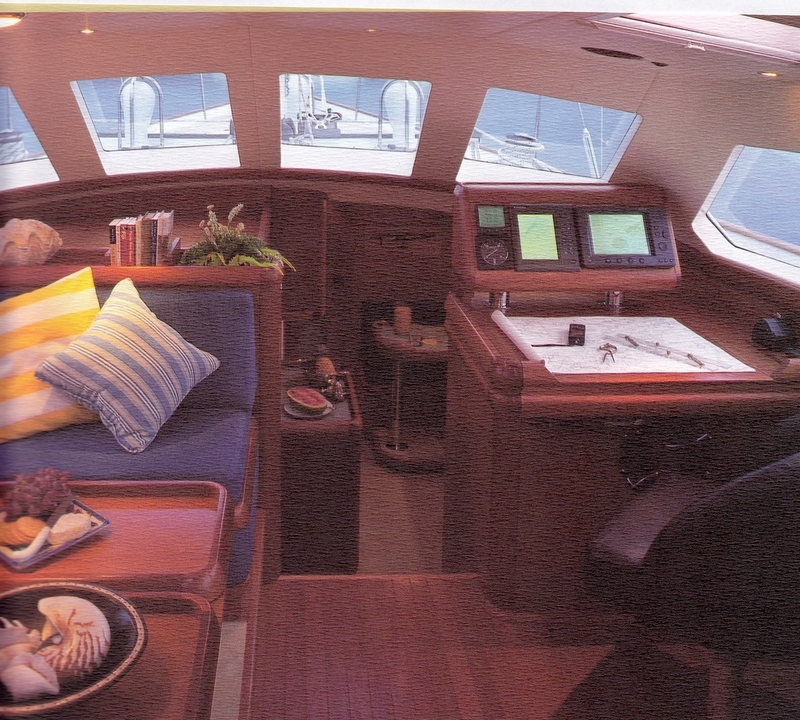 The primary guest cabin located forward of the saloon is very spacious and Ron Holland wanted to achieve a cabin that would allow any owner feel comfortable inviting his most important guests aboard, even for an extended cruise. Another feature of this cabin is its connection to the port side forward bunk cabin. This was envisaged to enhance the multi use of the yacht by having a connection between guest and children's cabins via the washroom. If the forward cabins are used in a more private manner, they share the spacious forward toilet area. 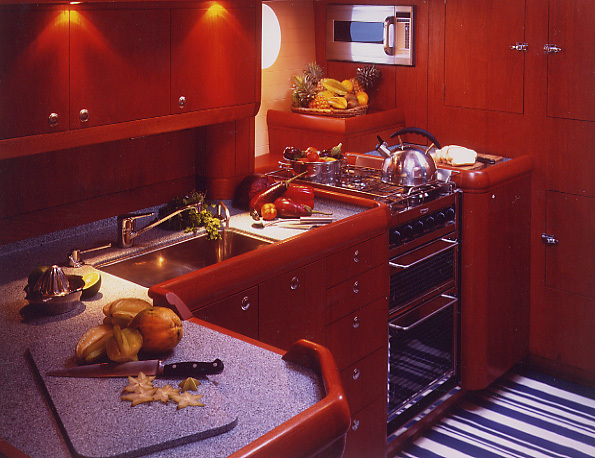 The galley and crew dining areas are large for a yacht of this class, but again drawing on Ron Holland's experience he wanted to create a space conducive to 'hang out' in as well as being able to efficiently function as a cooking and serving area. The decision to devote a good volume to this area, together with the open plan communication between galley and saloon, is a very attractive aspect of this yacht's layout. Water-skiing, windsurfing, scuba diving gear for 4 people and snorkelling. 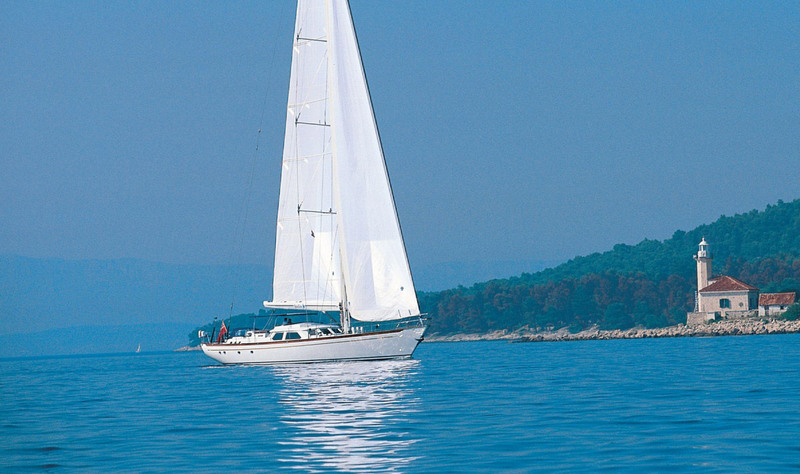 The equipment and systems specification for this new yacht have avoided unnecessary complexities without any compromise to safe operation or to comfort and convenience levels more normally associated with much larger vessels. Ron Holland believes many of the yachts that have been built to his designs could achieve the comfort and convenience levels required by their owners with less complexity. Engine Lugger 165 hp Generator Northern Lights 20 kw Batteries Mastervolt Electronics Elpro Watermaker Sea Recovery Sailing Systems Lewmar Marine Rig Matrix Masts Rigging Navtec Sails North Sails Navigational Equipment Raytheon Furler Harken Paint Awlgrip Toilets SeaLand Amongst a variety of good ideas Ron Holland has adopted from his existing designs, the aft boarding platform and the general layout of the anchor and windlass system are features that have really enhanced the convenience of life aboard and serious offshore passage making capabilities.